Emma Gilmour’s season came together in a rewarding way today, when she finished third in the Trusthouse Racetech Daybreaker Rally Wairarapa and recorded a string of fast stage times. 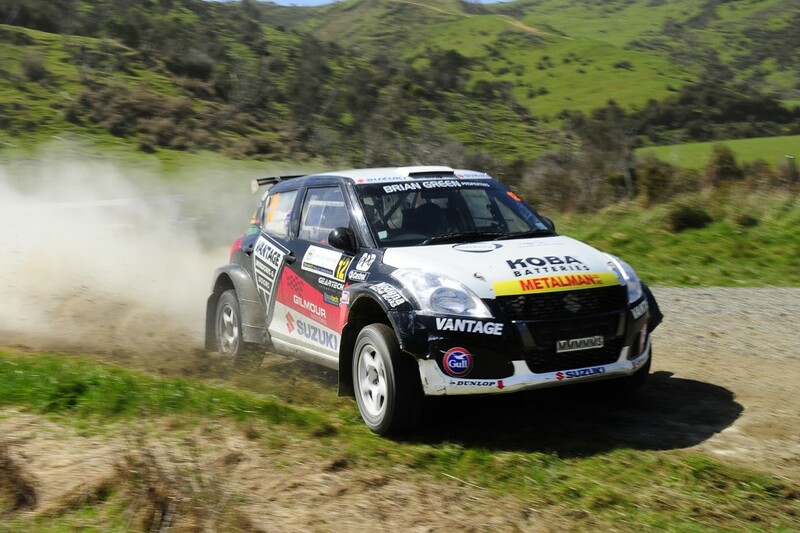 Over the eight stages in the Manawatu and Wairarapa districts, Emma’s Vantage Windows and Doors Suzuki Swift was in the top three on six occasions, which included a win on the final stage. “It was a fantastic way to finish the season and awesome to finally have a stage win after four second fastest stage times today. The car went really well and although we still have some room to improve on the slower speed stages, I am very happy with our performance today,” Emma says. It was the 1600cc Vantage Suzuki’s first outright podium (it had a class podium at Canterbury earlier this year) and it was car’s first stage win. The strong finish was enough to boost Emma into a credible fifth place overall for the Brian Green Property Group New Zealand Rally Championship. “I want to thank my hard-working team Lindsay Tressler, Lane Heenan, Mike Wilson and Roger Laird – many of whom have been with me right from when the Suzuki was originally built. Although it has been frustrating at times, today I feel like we repaid their efforts and also demonstrated to our sponsors that we have the pace to achieve a win,” Emma says. Emma also paid tribute to her 2015 co-driver Anthony McLoughlin. Emma’s focus now turns to some sponsor ride days later next week before she heads to Qatar in November to take part in a women’s desert racing training camp.